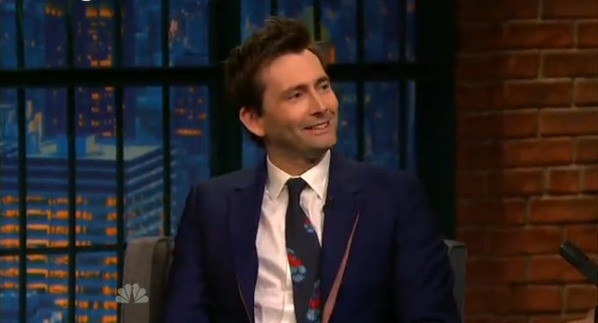 David Tennant is a gues on Late Night With Seth Meyers on the episode which is broadcast at 12.35am on the evening of Monday 23rd / Tuesday 24th November 2015. This is to promote the series Marvel's Jessica Jones in which he plays the main villain Kilgrave. Other guests in the episode are Holly Holm, Sarah Palin and the Spring Awakening cast. Late Night With Seth Meyers is an American late-night chat show hosted by Seth Meyers. The show records from Studio 8G at 30 Rockefeller Plaza in New York City.